We install, repair, maintain, and service all makes and models of Heating Systems. Whether you're replacing an old system, repairing an existing one, or want to make sure you're operating at peak efficiency, let us help you keep your home cozy and your energy bills low this winter. We install, repair, maintain, and service all makes and models of Air Conditioning Systems. 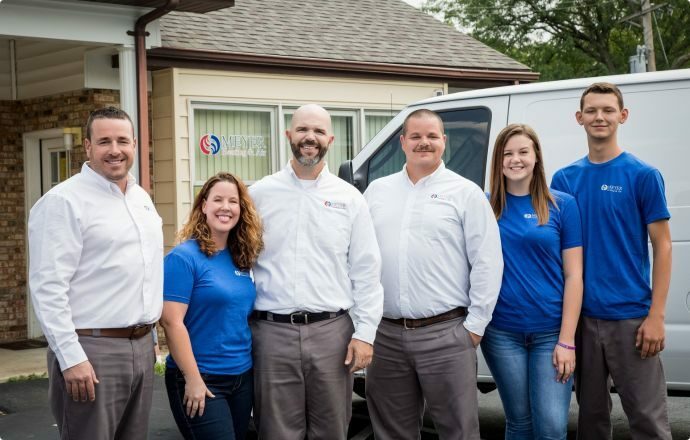 Whether you're replacing an old system, repairing an existing one, or want to make sure you're operating at peak efficiency, let us help you keep your home temperature low and your bill lower! All Heating and Air Conditioning Systems need occasional repairs and maintenance. From tune-ups to big repairs, we can make sure that your systems are operating at their best all year round. We're not just residential - schedule an estimate today to find out how we can help with your commercial climate control. In today’s cost-conscious world, consumers need a trusted Heating and Air Contractor that delivers consistent results at an affordable price. 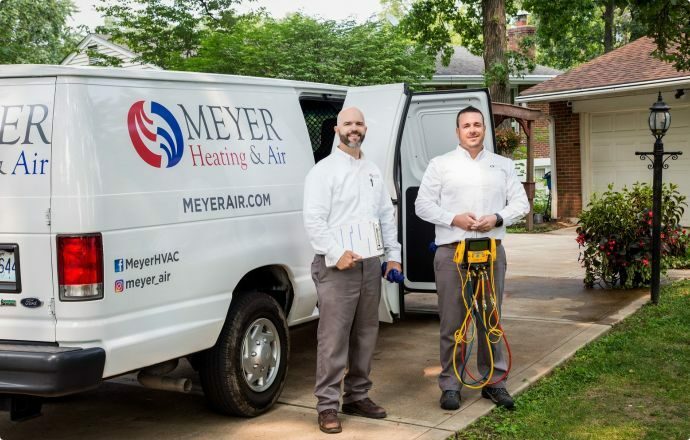 Meyer Air provides written estimates to the home owner before any repair work is started. Our technicians will review all options and clearly describe what work will be performed. If repairs exceed the value, the technician will provide an estimate for replacement of the unit.